After 10 years working as a scientist, Sandra realized that it wasn't for her. She started her Etsy shop, snapcrafty, and found a new passion. For the last 10 years of my life I have been a scientist, first studying insects and later genetics. During that time, as a fun hobby, I designed jewelry, handspun yarn and sold my creations in my little online shop called Snapcrafty. In 2007, I closed my shop's doors when I finished graduate school to concentrate on my career. I went all the way through school and got a Ph.D. But after doing postdoctoral research for several years, I came to the realization that science just wasn't for me. The constant stress, long hours, and uber-competitive environment was too much. I was often working 7 days a week, sometimes over 80 hours. I was stressed and very unhappy to the point that my hair began to fall out. There were many days I would come home from work and just cry. That is not the type of person I knew myself to be. 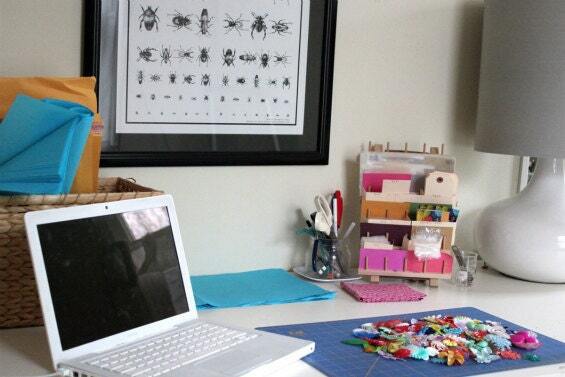 I had joined Etsy almost as soon as it began and already had a shopper account as snapcrafty. I opened a supply shop to de-stash some supplies leftover from my jewelry business days. To my delight, I was soon making daily sales and I began purchasing more supplies to sell. Several months later, after taking a serious look at my priorities and desire for happiness and balance, I decided to leave science. Imagine working for ten years of your life towards one goal and then realizing once you get there, that it’s not at all what you want. My husband (then boyfriend) agreed that it was for the best if I move on. But thanks to all that rigorous training I received while getting my PhD, I now know how to be independent, self-motivated and research topics I want to know more about. I no longer dread going to work every day and am healthier and happier than I’ve ever been. Goodbye doctor and hello entrepreneur! Know where your customers spend their time on the web and spend advertising dollars accordingly. Using Google Analytics, I see where my customers were before they visited my shop. I then look at these sites as possible advertising venues. Start a newsletter and make it grow. 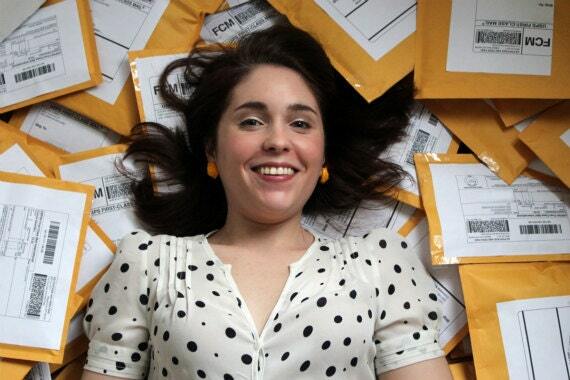 There are many excellent newsletter services that are also free (I use MailChimp). Customer service is extremely important. I have learned that creating ways to keep customers happily returning to my shop is an incredibly valuable asset. I somewhere read the figure that 4/5 of any business’s sales are made by returning customers. What's been your most popular supply to date? My flower cabochon mixes are definitely my most popular item; I sell a few of these a day. I have had customers use them for place-cards in weddings, for crafting parties, and even for making clay molds. 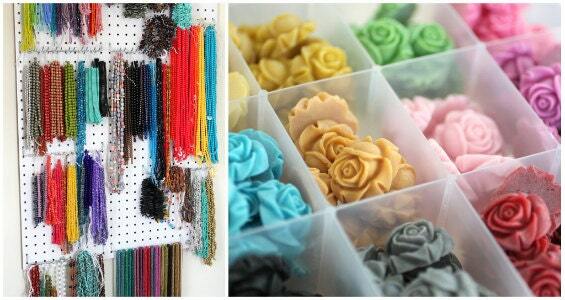 I also used to sell vintage flower bead mixes that sold like hotcakes, but had to discontinue them as the vintage stock dried up. I have recently found more and hope to bring them back soon. Seeking out specialty and vintage products is part of the fun! Have any of your shoppers contacted you with photos of the creations they've made using your supplies? Yes! I also love browsing in their Etsy shops and seeing what my customers have made. I am proud to supply them with materials — their work serves as a muse for my own jewelry designs and gives me ideas about future supplies to stock as well as gifts to purchase for others (and myself). My only regret is that I did not leave the world of science and academia sooner. It was clear that I was not in the right place, yet I kept trying to push myself to make it work. If I had put this energy into building a business, I would be years ahead of where I am now. Learning how to manage my time. Emailing with customers can take a surprising 2-3 hours of my day. Each morning and afternoon I answer emails and in between, I list new items, do the paperwork, and purchasing. I also try not to get lost in surfing the web researching new products as this time can quickly add up if I’m not careful. Hmmm, what do I not love about being my own boss? Thanks to Etsy, I enjoy the luxury of being able to do what I want on my own schedule. I love having my dog, Luna, by my side all day. I have to admit, I don’t miss much about my old day job except for the friends I made there. With so many supplies on hand, what suggestions do you have for staying organized? Use a system that makes sense to you and one that you can easily teach to someone should you hire help. I keep large stocks of items in the basement and have smaller quantities in clear organizers upstairs in my studio. Each box is labeled with what’s inside and often, I will have a sample glued to the outside of the box for quicker identification of the contents. Do what makes you happy! Seriously, life is too short to settle for a mediocre job you’re only ho-hum about. Many times, what makes you happy will be something that you’re good at anyway. What goals do you have in store for the future of snapcrafty? Within the next year, I hope to move out of my home studio and find a warehouse space that Jen and I talk about sharing together. Owning a brick-and-mortar shop continues to be my ultimate dream. I am building my own website which should be up and running shortly. I would simply like to say thank you to my wonderful customers. You make my happy life possible and I’m honored that you choose to shop with me.